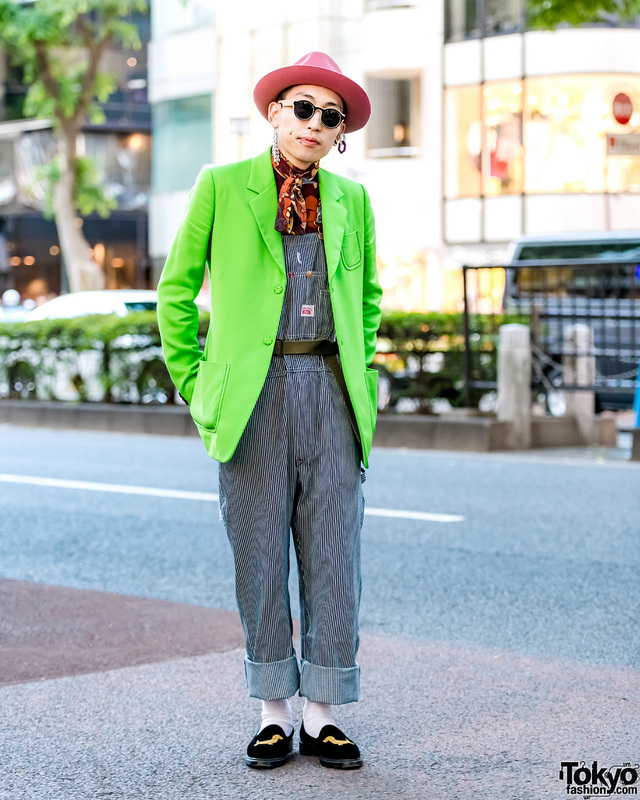 Harajuku student sporting a neon green blazer, floral top, striped overalls and a pink hat. 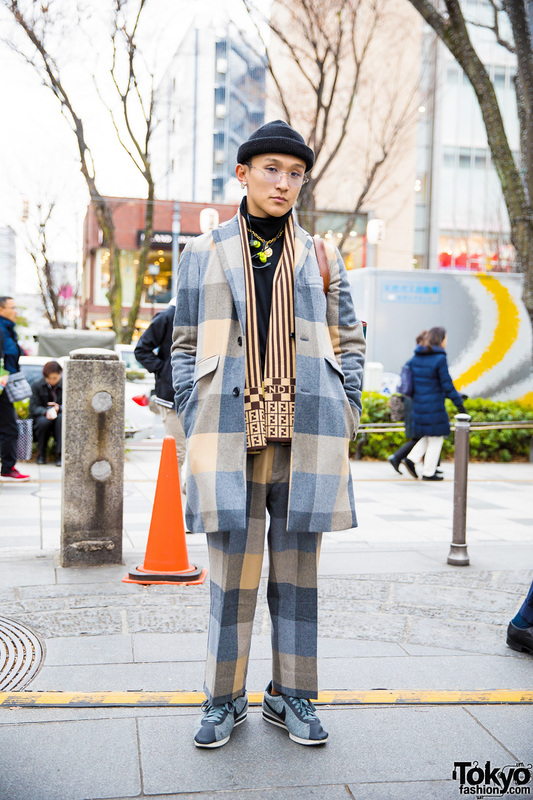 Harajuku dancer sporting plaid suit fashion w/ plaid bag, a printed scarf, a turtleneck sweater, a knit beanie, sneakers and accessories. 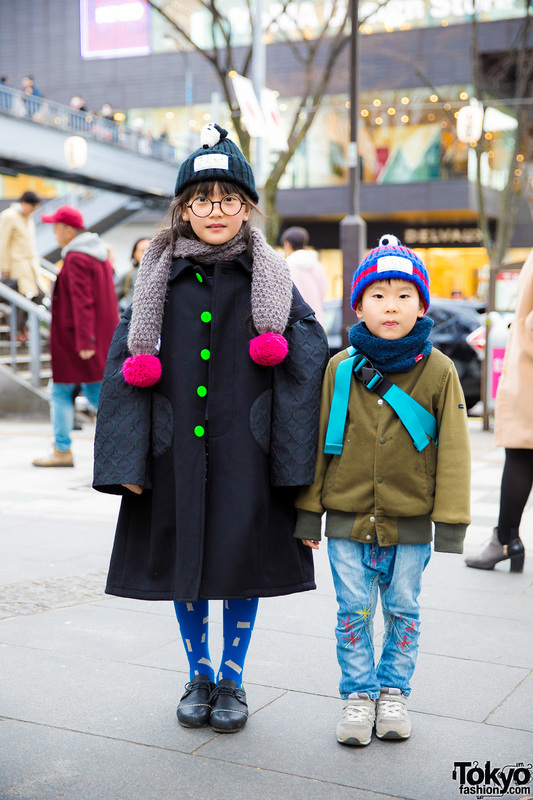 Harajuku children wearing adorable winter street styles. 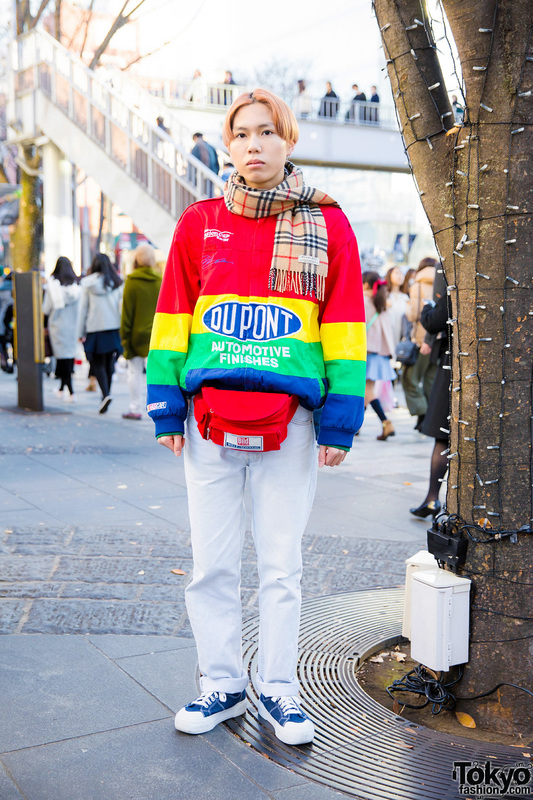 Japanese student wearing a rainbow sweater, faded denim jeans, and vintage pieces. 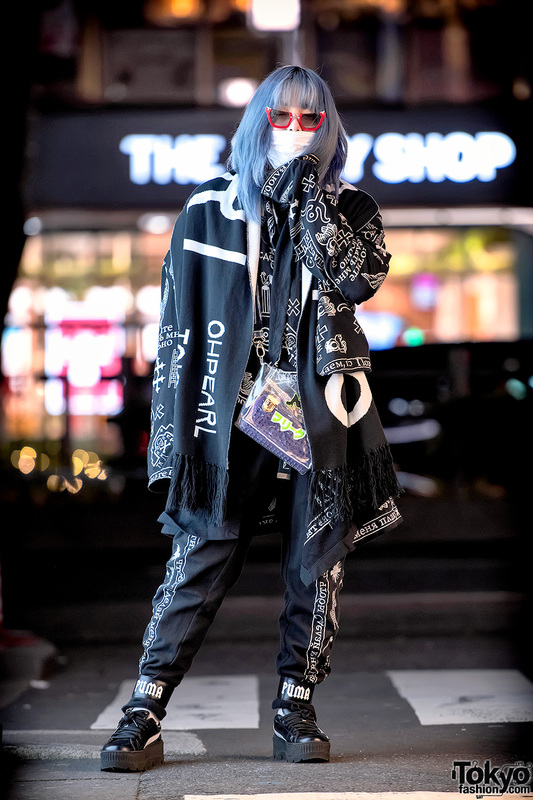 Bunka Fashion College girl in group sporting all black street fashion w/ long coat over button down dress, black boots, a sling bag, black hat and a fringe scarf. 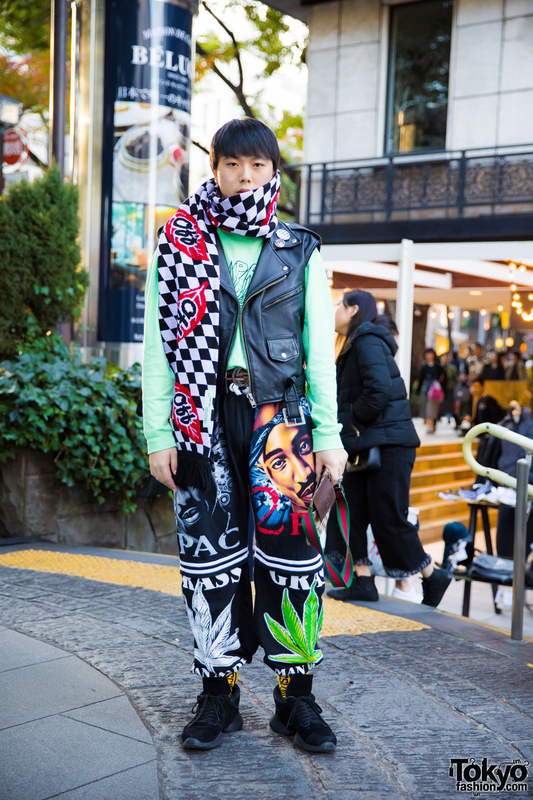 Harajuku student in a white sheer lace dress over a long sheer skirt, white socks, cutout bow shoes, aqua leather bag, silver earrings and a kawaii collar necklace.